- Catherine Slessor. The Architectural Review, 1999. - Herbert Muschamp. The New York Times, 2000. - Nathalie Pozzi. Arch´it, 2001. - Monty DiPietro. The Japan Times, 2001. - Catherine Slessor. The Architectural Review, 2001. - Marco Casagrande. Urban Flashes Linz, 2002. - Adam Mornement, 2002. Contemporary Magazine. - Biennale de Montréal, 2002. - Marco Casagrande. PUERTO RICO'02 EN RUTA. ISBN: 84-931898-6-3, M&M Proyectos, Puerto Rico 2002. - Paula Toppila. PUERTO RICO'02 EN RUTA. ISBN: 84-931898-6-3, M&M Proyectos, Puerto Rico 2002. - Jorge Rigau. PR02. PUERTO RICO'02 EN RUTA. ISBN: 84-931898-6-3, M&M Proyectos, Puerto Rico 2002. - Sadri Wirzenius. Ruotuväki 15/2002. - Jan Kaus. SIRP. Estonia. 2002. - M&M Proyectos. PR'02 (En Ruta). Puerto Rico Biennial 2002. - Hadani Ditmars. The Globe and Mail. Canada. 2003. Marco Casagrande. Echigo-Tsumari Art Triennial -catalog. Japan. 2003. - Marco Casagrande. Tekniikan Maailma 5. Finland. 2003. - David Frazier. POTS Magazine. Taiwan. 2003. - Hsieh Ying-Chun. Taiwan. 2003. - Marco Casagrande. EGG Magazine. Taiwan: 2003. - Erkki Pirtola. PTAH2/2003. Finland. - Sarah Noal. ISBN: 1920744272. The Images Publishing Group. Australia: 2003. Marco Casagrande - Tamaz Giorgadze. a+d Georgian architecture magazine interview, 2004. CREW*31. Havnebutikken - 2004-2006 Katalog¤Havneprodukter 2004-2006¤Tag Havnen I Favnen! Edit Tore Eg Jørgensen. ISBN: 87-989138-8-3. Statens Kunstfonds Arkitekturudvalg. Copenhagen: 2004. - C-Laboratory. Independent newspaper for London Architecture Biennial 2004. - August Künnapu. Human, 2004. - Tommy Plummer. Human, 2004. - Marco Casagrande. Human, 2004. - Marco Casagrande. Tamkang University, 2004. - The British Architecture Foundation, 2004. - ART4D no. 147. Thailand, 2004. - Hannele Jäämeri. Suomen Kuvalehti 20/2004. - C-Laboratory. Independent newspaper for Helsinki 2005. - Marco Casagrande. 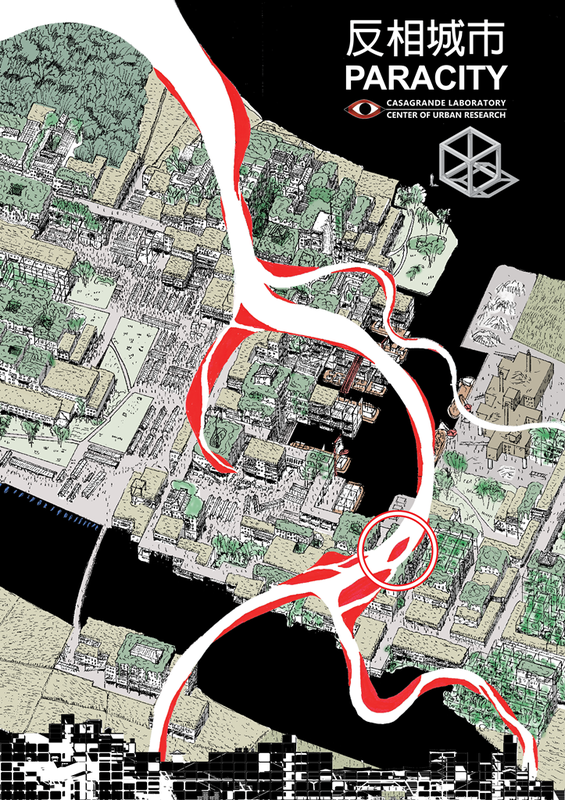 Tamkang University Department of Architecture 4th year Design Studio, 2005. - Susan Kendzulak. Taipei Times, 2005. - Marco Casagrande. Taiwan Performance Arts Magazine, 2005. - David Momphard. Taipei Times, 2005. - Taipei Museum of Contemporary Art, 2005. - Gavin Phipps. Taipei Times, 2005. - Marco Casagrande. Epifanio 1, 2005. - Nikita Wu; Marco Casagrande. Video. Taiwan Design Expo, Future Pavilion, 2005. - Kang Min-Jay. Asian Culture Symposium, 2005. - Marco Casagrande. Danshui, 2005. - Nikita Wu, edit. 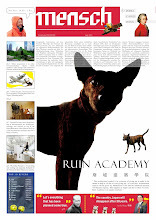 Independent newspaper for Taiwan Design Expo Future Pavilion 2005. - Marco Casagrande. Taiwan Design Expo, 2005. - Marco Casagrande. Taiwan Architect, 2005. - Marco Casagrande. Epifanio 3, 2005. - Marco Casagrande. Sensuous Intellect. Edited by Ross McLeod. ISBN 1921166444. RMIT Press, Melbourne: 2006. - Marco Casagrande. Presentation text. Tamkang University Department of Architecture, 2006. - Marco Casagrande. Taiwan Architect, 2006. Human Layer Brussels- Casagrande & Rintala. Change. Edit. Joelle Claisse. ISBN 2-9600103-8-8. Prisme Editions. Brussels: 2006. - Marco Casagrande. Tamkang International Workshop, 2006. - Chang Shih-lun. Taiwan Panorama, 2006. - Matt Gross. New York Times, 2006. - Hannu Pöppönen. Helsingin Sanomat, 2006. - Casagrande Laboratory. Free newspaper for Venice Biennale 2006. - Marco Casagrande. Epifanio 3, 2006. - C-Laboratory. Free newspaper for Venice Architecture Biennale, 2006. - National Taiwan Museum of Fine Arts. 2006. - Marco Casagrande. Taiwan Architect, 2007. - Marco Casagrande. Finnish Design, 2007. - Antti Antinoja, Marco Casagrande, 2007. - Marco Casagrande. Epifanio 6, 2007. - Marco Casagrande. 7-11 City, 2007. - Jane Rendell. ISBN: 978-1845112226. 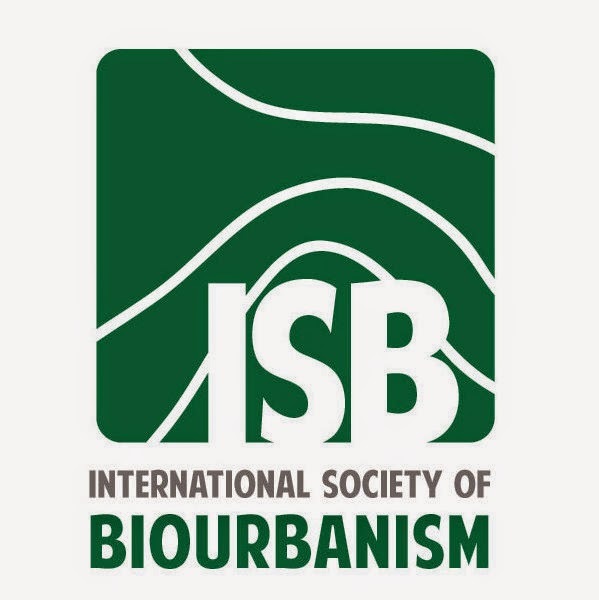 I.B. Tauris, 2007. - Matthewson, Gill. The Journal of the Society of Architectural Historians, Australia and New Zealand. ISSN: 1033-1867. Wellington Institute of Technology. New Zeland, 2007. - Marco Casagrande. Ruin and the Beaury in Shadow -lecture series. Taiwan, 2007. - Marco Casagrande. Temples and Towers. Estonia, 2007. - Chinese Pavilion, Venice Biennale, 2008. - Marco Casagrande. Epifanio 9. Estonia, 2008. - Marco Casagrande. University of Art and Design Helsinki Department of Environmental Art, 2009. - Pia Perokorpi. Hufvudstadsbladet Volt. 28.2.2009. - Katerina Tasheva. DeZona. Bulgaria. 11.3.2009. - Catherine Slessor. The Architectural Review. UK. March 2009. - Live Modern. USA. March 2009. - Márcio Ferreira. Arquitectura. Portugal. 17.3.2009. - Francisco Civitillo. Entre lo urbano y lo cotidiano. Spanish. 19.3.2009. - John Hill. Archidose. USA. April, 2009. - Adrian Welch / Isabelle Lomholt. E-Architect. UK. March, 2009. - Nobi. What We Do Is Secret. Japan. 12.5.2009. - Lydia. Trendir - Modern House Designs. 14.5.2009. - Nikita Wu. Forgemind. Taiwan. 15.5.2009. Chen House -C-Laboratory´s new small house in North-Taiwan. - Kazimierz Kwasek. W-A. Poland. 18.5.2009. - Lindsay Brown. Ouno. 20.5.2009. - Best House Design. 23.5.2009. - Marco Casagrande. Offroadpro 5/2009. - Design Centre Russia. 2009. - Vilmana. Ambient Abode. 2009. - Katariina Norontaus. 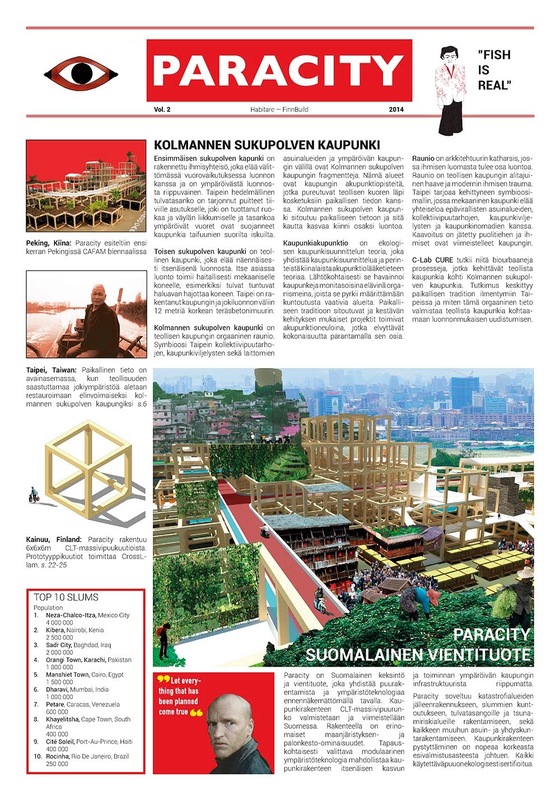 Turun Sanomat. 18.6.2009. - Nikita Wu. Archifield. Taiwan. 18.6.2009. - Nikita Wu. META Magazine. Taiwan. 19.6.2009. - Marco Casagrande. PUU WOOD HOLZ BOIS. 2/2009. - Ольга Орлова, Olga Orlova. EC-A. Russia. June 2009. - Nikita Wu. Forgemind. June 2009. - Dejumoshi. Collected Visuals. 24.6.2009. - Nora Schmidt. Dailytonic. 24.6.2009. - Pieter. Today and Tomorrow. Berlin. 25.6.2009. - Brad Turner. Dezeen. UK. 26.6.2009. - Lee Suetorsak. Buamai. Thailand. 26.6.2009. - Marcia Argyriades. Yatzer. Greece. 27.6.2009. - Yokai Youkai. D.V.I.K. Romania. 29.6.2009. - Inga-Marie Barnett. InsideOut, issue 65. Dubai: June 2009. - TrendNow. French. July 2009. - Nico Saieh. arch daily. July 2009. - Vanessa V. CtrlShift. 2.7.2009. - Kwon. Daum. Korea. 3.7.2009. - Jean-Christophe Courte. urbanbike. France. 4.7.2009. - Jordon Cooper. The Cooper Cabing Weblog. Saskatchewan Canada 22.7.2009. - Marco Casagrande. E-Architect. 24.7.2009. - Jirawit Jamkleeb. ART4D. Thailand. July 2009. - Katharina Horstmann. Designline. August 2009. - Linda Bennett . Archi Ninja. Sydney: 9.8.2009. - Petr Šmídek. Archiweb. Czech. 18.8.2009. - David K. +MOOD. 21.8.2009. - Architecture Database. Japan. 22.8.2009. - Alejandro Olivera. Archiblok. Spanish. 26.8.2009. - Nikita Wu. Art Collection + Design. Taiwan. September 2009. - Ronit Eisenbach & Sarah Bonnemaison . ISBN-10: 1568988508. Princeton Architectural Press: September 2, 2009. - Urbanorama Atlas of Architecture. Spain. 6.9.2009. - Matt Olson. RO/LU. September 2009. - Jirawit Yamkleeb. art4d no. 163. Thailand. September 2009. - 转载. MT Interior Design. China. 13.9.2009. Marco Casagrande. Arcadia. Editors: R. Klanten, S. Ehmann, L. Feireiss. ISBN: 978-3-89955-257-7. Gestalten, Berlin: 2009. - Nikita Wu. Dialogue. Taiwan. October 2009. - Architecture 咖菲论阿柒-In Nanjing. Oct 9, 2009. - Marco Casagrande. Translated by C.J. Anderson-Wu 吳介禎. Taiwan Architect. October 2009. - Marco Casagrande. Taiwan Architect, October 2009. 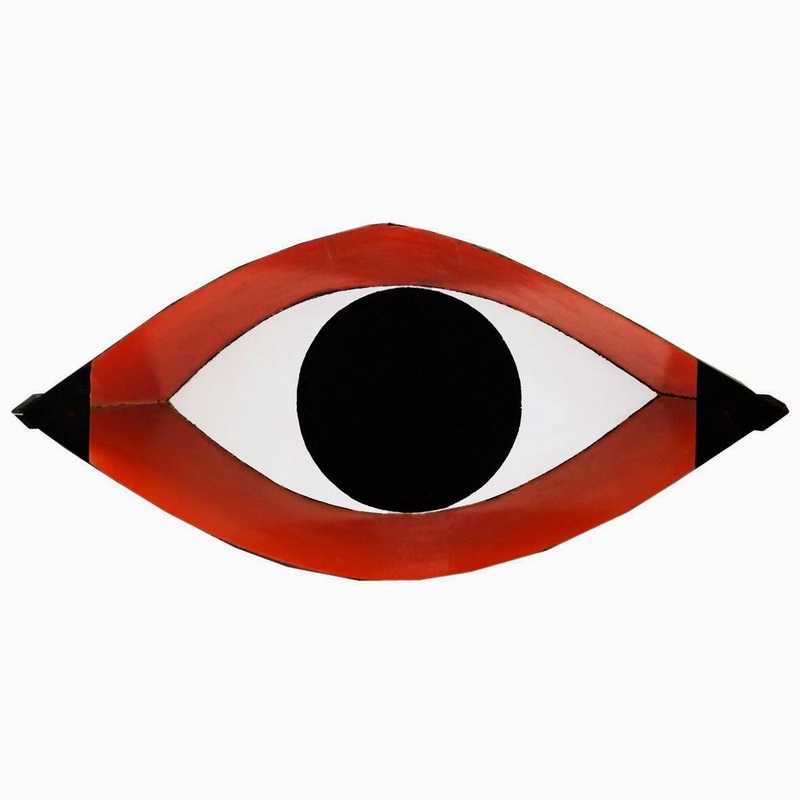 - International ArtCatalyse. Nov 2009. - Wayfaring Travel Guide. Nov 2009. 2009 深圳•香港城市\建築雙城雙年展 Weak！弱團隊「繭」Bug Dome by the WEAK! - Ridhika. Designboom. Dec 2009. 6-1 These exhibits are waiting for you! The Bug Dome – WEAK! Bug Dome / the WEAK! - Ольга Орлова. ЦИХ. Russia. May 2010. - Maria Thölix. Åbo Underrättelser. March 2011. - 51ARCH. China. July 2011Can Urban Acupuncture Cure Cities? Looking at "urban acupuncture", a recent movement that eschews massive urban renewal projects in favor of smaller interventions. Could cities' problems be solved by urban acupuncture? Can cities heal through ‘urban acupuncture’? The Ruin Academy locates in Taipei in an abandoned apartment block turned into a compost of the modern city. Sandworm: Wenduine coast, Belgium by Marco Casagrande / C-Laboratory. NOMAD CITY – Sauna, Eisangeln und Kreativität – das SURVIVAL-KIT !? Bug Dome in Shenzhen, China by the WEAK! "Pause, reflect, activate, impact: Co-designing consensus and dissensus for positive societal impacts"
Sandworm – spazio organico. Marco Casagrande. Sandworm – organic space. Marco Casagrande. What an amazingly beautiful sculpture! Built / China, Shenzhen Bug Dome by WEAK! Urban acupuncture and award-winning design. Cicada by Marco Casagrande. Дом Апелле (Apelle House) в Финляндии от Casagrande Laboratory. A boat in the woods. Apelle, project by Marco Casagrande. Una nave nel bosco. Apelle, progetto di Marco Casagrande. Stefano Serafini: " Ci piacerebbe rendere i luoghi del Centro Storico ancora più belli"
Towering Metallic Men by Marco Casagrande! Oystermen — именно так называется, проект финского дизайнера Marco Casagrande в Тайване. El Premio CICA a la mejor obra de Arquitectura conceptual y artística en la muestra fue para el Arq. Marco Casagrande –Finlandia-. Oystermen на пляже в Тайване. Класс!! - Portland State University School of Architecture. USA. Ultra-Ruin. Organismo architettonico di Marco Casagrande, C-LAB. Ultra-Ruin. Architectural life form by Marco Casagrande, C-LAB. "литература для архитекторов и дизайнеров"
Future city: Grassroot Perspectives meets Paracity. Successo per il TEDxNapoli, la città palcoscenico delle idee "in grado di cambiare il mondo"
Marco Casagrande. Ai confini tra le rovine e il paesaggio. - Diego. Nomada Q. Spain. - Camille Rustici. ArchiExpo. 6/2015. ГОРОДА ТРЕТЬЕГО ПОКОЛЕНИЯ МАРКО КАСАГРАНДЕ: УТОПИЯ ИЛИ ВОЗМОЖНОСТЬ? LIEFHEBBERS VAN SCANDINAVISCH DESIGN? CHECK DEZE FINSE WONING! Parkkiruudun kokoinen Tikku-kerrostalo visioi tulevaa – "Saa pystyyn 4–6 tunnissa"
Oma talo 12 neliön tontille – muuttaisitko Tikun nokkaan parkkipaikalle? Helsingin keskustaan kohosi päivässä parkkiruutuun mahtuva kerrostalo – "Vain puuta ja hiekkaa"
Σπίτι στο μέγεθος μιας θέσης πάρκινγκ! Fancy living in a micro-house that only takes up one parking space? À HELSINKI, UNE MAISON CONSTRUITE EN UNE NUIT ! Three Stories or One Car? Is This Pop-Up-House Just Two Smaller Houses In A Trench Coat? TIKKU – This functional micro-house fits on a parking space! TIKKU – Cette maison fonctionnelle tient sur une place de parking ! Campus: le futur du logement étudiant tient sur une place de parking ! Ada "Apartemen Mini" yang Bisa Dipindah-pindah? CES PETITES MAISONS TIENNENT SUR UNE PLACE DE PARKING ! - Miesto pre muza. Slovakia.